Specialty Tape Products | Tom Brown Inc.
Tom Brown was a born entrepreneur, taking over The James Brown Feed and Grain Co at the age of 13 after his father’s death. In 1915 a fire destroyed the business and Tom was forced to find another job. He landed at the Duncan and Porter Company where he became interested in the sale of industrial lime. He went on to start several businesses with the experience gained at Duncan and Porter. The Neville Lime Company was formed in 1934 and sold lime to the steel industry. Tom Brown Builder’s Supply was started in 1936 to sell lime to the building and construction industry. He purchased Heppenstall and Marquis Builder’s Supply in 1938 and added additional product lines, the company settled at 36th and AVRR in Pittsburgh. He also started the Wholesale Distributing Company in 1940 and later purchased Iron City Sash and Door Company which became one of the largest distributor of Andersen windows in the US. Tom Brown, Inc was formally incorporated in 1946 and was rapidly expanding with the addition of many surrogate companies- Tom Brown Industrial Supply, Lanz Brick, Tom Brown Mill and Mine Supply, Brown Dettling Supply Company, and General Concrete Units Corp.
Don Brown joined the company in 1949 and General Concrete Units became his main focus. He took it from a concrete block provider to a major manufacturer of architectural precast concrete. St. Martin’s Hall at Duquesne University and Litchfield Towers at the University of Pittsburgh are celebrated as GCU’s first two major projects. As a precast concrete provider, Don became exposed to the need for high performance sealants and caulking materials. Tom Brown, Inc became a distributor for GE Silicone, Vulkem and Sonneborn Sealants to service the industry. Specialty Construction Tape and Adhesive products from Norton Company were added in the early 1970’s. Kenny Brown (our current CEO) joined the company in 1978 and led the expansion into tape converting in 1983. 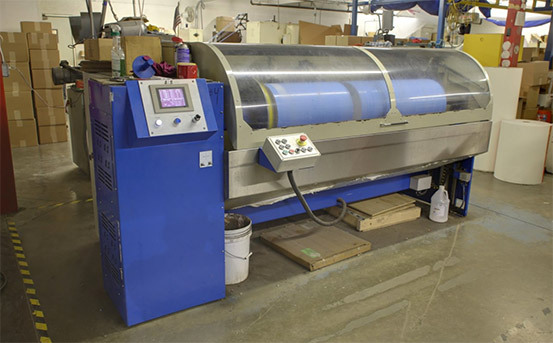 Today, TBI has 7 single knife log slitters, 4 die cutting presses, 2 traverse wound spooling machines, a large format laminating machine, 2 rewind slitters and a waterjet cutter. 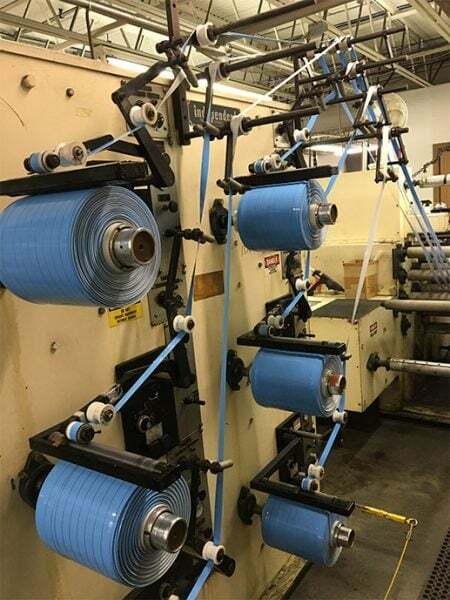 TBI converts tapes for major tape manufacturers including 3M, Saint-Gobain (Norton), Adhesives Research, Adco, Adchem, Rubberlite, and others. Brendan Brown (our current president and COO) joined the company in 2010 and is leading the expansion of TBI into a national converter of tape products with the addition of a new tape converting facility in Salt Lake City. He is also instrumental in a strategic alliance with Garvin Construction Products of Boston to market sealants, caulking, waterproofing, and concrete repair products under Garvin Brown Construction Products in the Northeast. To Learn More About The History of Tom Brown Inc.’s, click here.